IT IS WRITTEN: "Give and it shall be given unto you." To take Blessed Alan's illustration of this: "Supposing each day I give you one hundred and fifty diamonds, even if you were my enemy, would you not forgive me? Would you not treat me as a friend and give me all the graces that you were able to give? If you want to gain the riches of grace and of glory, salute the Blessed Virgin, honor your good Mother." 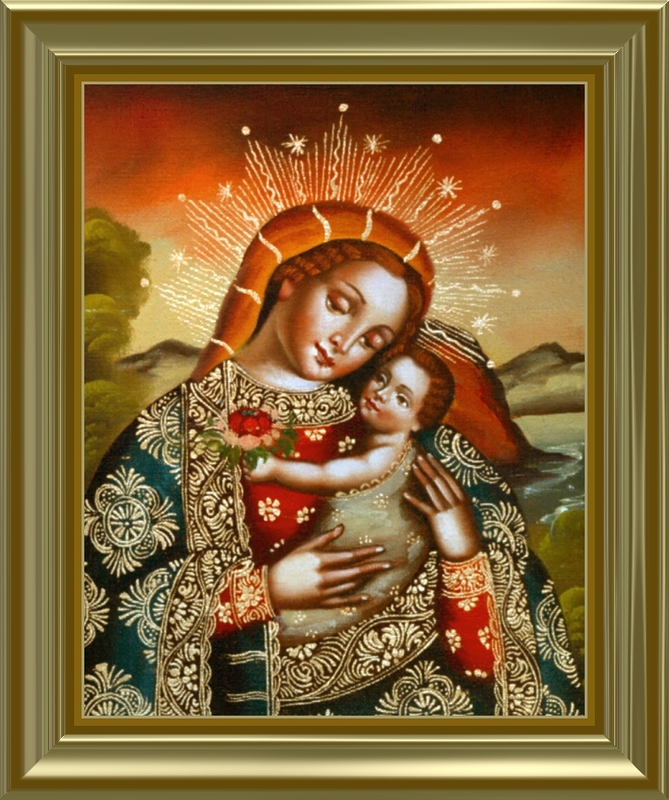 "He that honoreth his mother (the Blessed Virgin) is as one that layeth up a treasure." So every day do give her at least fifty Hail Marys----for each one is worth fifteen precious stones and they please Our Lady far more than all the riches of this world put together. And you can expect such great things from her generosity! She is our Mother and our friend. She is the empress of the universe and loves us more than all the mothers and queens of the world have ever loved anyone human being. This is really so, for the charity of the Blessed Virgin far surpasses the natural love of all mankind and even of all the Angels, as Saint Augustine says. One day Saint Gertrude had a vision of Our Lord counting gold coins. She summoned the courage to ask Him what He was doing. He answered: "I am counting the Hail Marys that you have said; this is the money with which you can pay your way to Heaven." The holy and learned Jesuit, Father Suarez, was so deeply aware of the value of the Angelic Salutation that he said that he would gladly give all his learning for the price of one Hail Mary that had been said properly. For the sweetness of this blessed salutation is so great that there are no words to explain it adequately, and even when its wonders have been sung, we still find it so full of mystery and so profound that its depths can never be plumbed. It has but few words but is exceeding rich in mystery; it is sweeter than honey and more precious than gold. We should often meditate upon it in our hearts and have it ever upon our lips so as to say it devoutly again and again." Blessed Alan says that a nun who had always had great devotion to the Holy Rosary appeared after death to one of her sisters in religion and said to her: "If I were allowed to go back into my body, to have the chance of saying just one single Hail Mary----even if I said it quickly and without great fervor----I would gladly go through the sufferings that I had during my last illness all over again, in order to gain the merit of this prayer." (Blessed Alan de la Roche, De Dignitate Psalterii, Chapter LXIX) This is all the more compelling because she had been bedridden and had suffered agonizing pains for several years before she died. Michel de Lisle, Bishop of Salubre, who was a disciple and co-worker of Blessed Alan's in the re-establishment of the Holy Rosary said that the Angelic Salutation is the remedy for all ills that we suffer as long as we say it devoutly in honor of Our Lady.